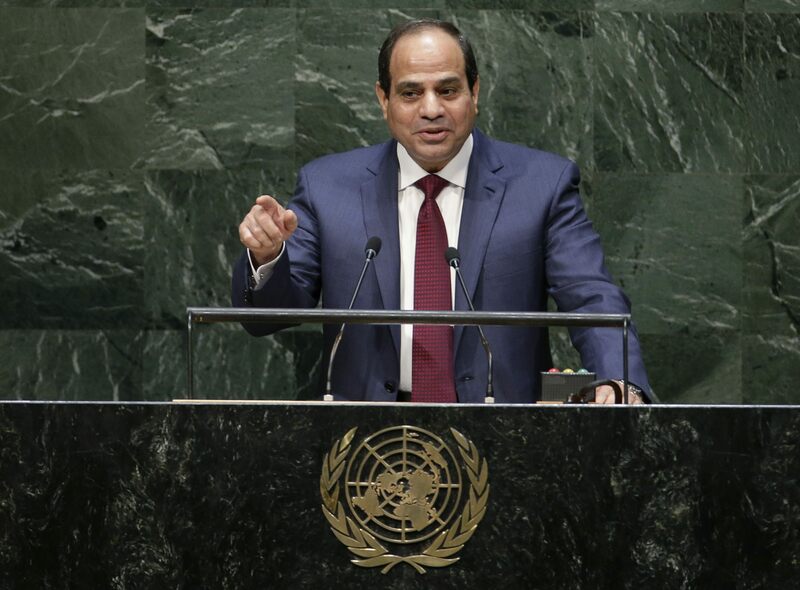 In what Egypt’s Ministry of Foreign Affairs is calling a “new diplomatic victory”, Egypt won a seat on the United Nations Human Rights Council with 173 countries supporting its nomination. According to a statement released by the Ministry of Foreign Affairs spokesperson Ahmed Abu Zeid, the election represents growing trust for Egypt at the international level. “Egypt’s membership confirms as well the international appreciation and welcome of the soundness of the political process in the country that moves forward with steady steps towards building a modern civilian state that gives priority to the values of human rights and democracy and the rule of law despite the difficult situation in the region that poses internal and regional challenges,” said Abu Zeid. Egypt, Abu Zeid said, will work actively with all members to develop the international system of human rights and promote a perspective that is not just limited to political and civil freedoms, but also include economic and social rights. Egypt is also expected to use its position to address conflicts in the Middle East and Africa. Egypt’s membership in the UN Human Rights Council is for the period between 2017 and 2020. Other countries that were elected to the UN Human Rights Council include the United States, the United Kingdom, Japan, Saudi Arabia, Hungary, Brazil, China, Rwanda, Croatia, South Africa, Tunisia, Brazil, and Cuba. Russia failed to secure enough votes for a seat for the first time since the Human Rights Council was created in 2006. The Council, consisting of 47 members, aims to promote human rights globally. Egypt’s latest victory comes despite criticism by international organizations, such as Amnesty International and Human Rights Watch, regarding the country’s human rights record under President Abdel Fattah Al-Sisi. However, despite such criticism, Egypt has continued to win seats in key UN councils and committees. Two months later, the Security Council appointed Egypt as the head of the Counter-Terrorism Committee (CTC). Egypt’s Foreign Minister has vowed to promote women’s rights, regional issues, and an anti-terror agenda during his country’s membership at the Security Council and the CTC.